If you own a Website or blog traffic is the main key of success and every one face trouble with this, most of the beginner fined the shortcut to get more traffic for their blog or website to build up their business online store sale or page ads or any other, everyone want website/blog traffic to build their online business to get success, but why we forget the key of success SEO Search engine optimization. As a beginner we have to focus on SEO Search engine optimization please don’t forget this is not only way to get traffic there are so many ways to get traffic for your website/blog but SEO is the best free way to get traffic where we put nice keywords related to our blog post topic and when someone find in search engine like Google, Bing, or yahoo the search engine prefer our site in the top page and this is the organic way to get free traffic by doing SEO you can get more and more traffic day or years, SEO Search engine optimization is not very difficult method and not a rocket science you can learn easily by the time you can learn from your experience, it is well worth of your time to learn more about SEO and it pay you back. 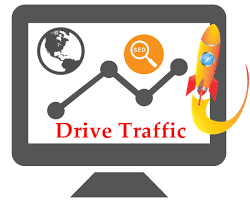 As a beginner if you are fail to get traffic by doing SEO then you can get paid traffic this is the most effective way to get fast traffic to build your website/blog on any online business, these companies charge you on the bases of your package PPC, CPM, you can get result within 24 to 72 hours, you can achieve your goal easily by receiving traffic for your website/blog, but keep in mind there are so many advertisers here who offer cheap traffic but I highly recommend you Google Adword if you are finding the targeted traffic and any specific platform then must try the best for all of them. For a beginner’s social media is the powerful source to get free traffic and grow your online business, you can share your website/blog content on social media like Facebook, Twitter, Instagram, LinkedIn, Pinterest, and make sure don’t spam your content on social sites otherwise they can suspend you account, you can also get free traffic from YouTube, many of people use YouTube for the source of free traffic, make your product or website/blog video and upload on YouTube and add you website/blog link in video description. if you have any Question related to this post please ask and share your experience with us by posting comment.